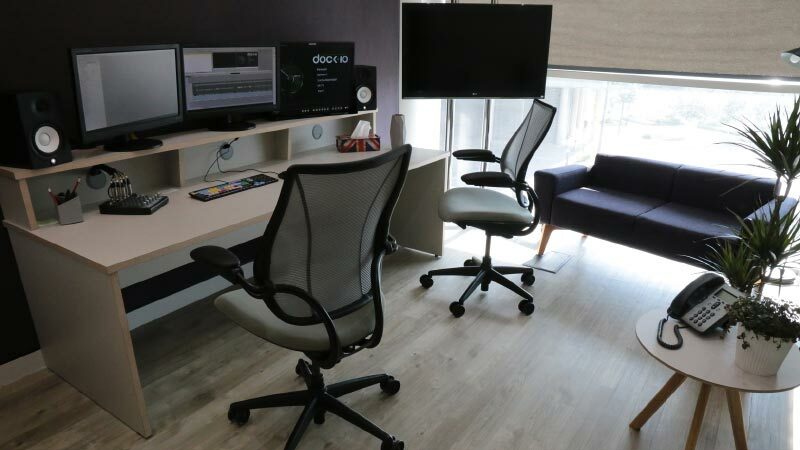 dock10, the leading media services business at MediaCityUK, has opened an additional brand new post-production hub,’ The Quay’ - which offers a boutique feel featuring high-end technology in a creative but relaxed environment. Located on the first floor of dock10’s studio building at the heart of the campus, the new post facility has been established to cope with increased demand from existing clients and on the back of the recent purchase of Manchester vfx house Edit19. The new facilities, include 10 offline and 2 online suites, 4 VFX suites, a motion graphics area and an expanded grade facility with built in projector. Paul Austin, Head of Post Production & Content said: "This is a very busy time for dock10 and we are very excited to be opening The Quay. As well as increasing our capacity to 50 edit suites (includes remote editing facilities), the facility adds a 'wow factor' grade suite and a home for our new VFX business. It also enables us to base our first-class team at the heart of the action, in line with our commitment to delivering a true one-stop-shop with superlative service." Mark Senior, Chief Executive for dock10 said: "dock10 is celebrating five years at MediaCityUK and it is extremely exciting times for our business. In the broadcast post production market we are increasingly working with high end dramas such as ‘The Five’ for Red Productions (which recently screened on Sky1) and following our acquisition of Edit19 we needed to build a vfx facility for our agency and commercial clients. Our new hub at The Quay will enable us to provide a high quality environment for both of these markets and we are delighted that having only opened The Quay in mid-May, it already has had a significant number of bookings." In March 2016, dock10 announced that it was expanding its services in advertising and corporate markets following the acquisition of Edit19. Having been operational for five years and employing 11 staff, the Edit19 business has a wealth of TV commercial, online and broadcast experience and a strong client base of production companies, agencies and broadcasters across the North and in the London market.